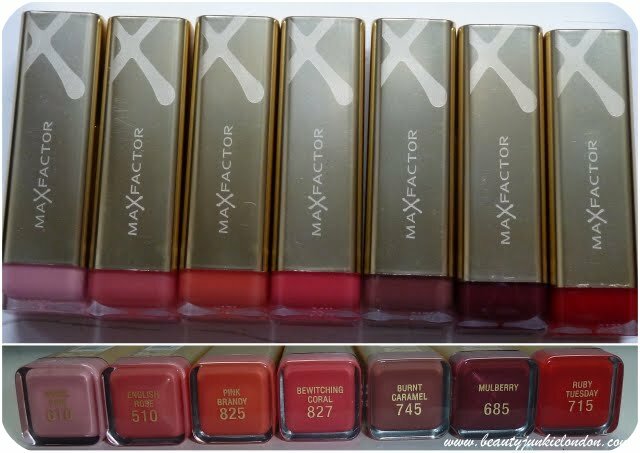 Max Factor have launched a new range of ‘Elixir’ lipsticks, that are meant to be flattering for all ages but really pampering and especially good for older lips which might need a bit of a moisture boost to keep them looking plump and kissable. My favourite colours from these seven are English Rose and Bewitching Coral for day to day and Ruby Tuesday for night. The lippies are nicely pigmented, but still sheer enough you can layer them up and build the colour so it’s more dramatic if you like – or keep it more subtle. Everytime I’ve gone to Boots I’ve always had to talk myself out of not buying English Rose – I think I might just have to buy it now!